Following on from their successful debut show at Alphabetti Theatre last year, PUG is set for another night of short performances that showcase a plethora of artistic talent; and this time they’re taking it all out of the theatre and to Tyneside Irish Centre on Friday 27th January. The evening will again be filled with dynamic creatives each showing a different discipline, but the carefully curated show is filled with passionate talents whose charm comes through the contrasting approaches they all take. 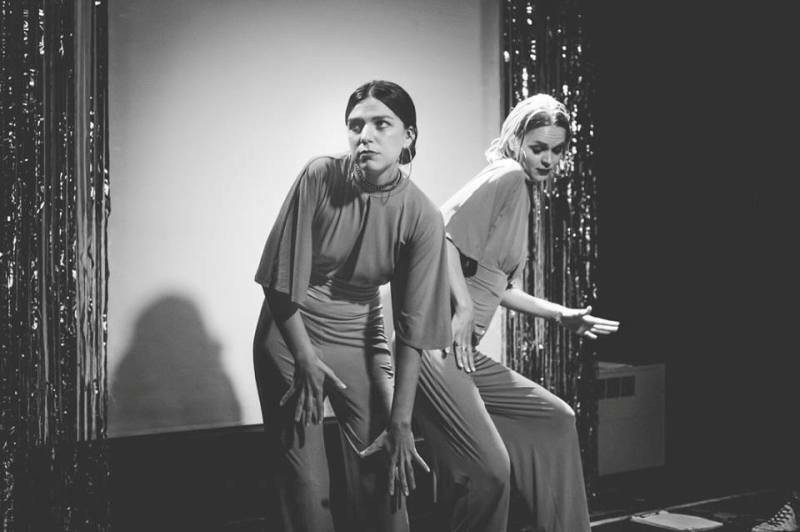 A mix of powerful, funny, heartwarming, touching and everything in between, it’s all pulled together and hosted by Hannah & Rosa, and January welcomes multi-disciplinary artist Tara Fatehi Irani, poet Matt Miller and dance group Company of Others II. We here at NARC were very happy to pull them all together for interviews as part of PUG Spotlight, with two more sets of the interviews to share with you next week to whet your appetite, you can read the first one with Company Of Others here. Their impassioned words should be enough to get you excited for the group of dancers all aged over 65, and their performance of Echo, a poignant and vital piece of dance theatre. With Matt Miller presenting beauty queen and part time eco warrior Suzanne Tweddle alongside Tara Fatehi Irani’s work primarily concerned with the ephemeral interactions between memories, words and sites and the transformation of these through performance, language and installation, we’re in for a fascinating, captivating evening. Above all else though, PUG is set to be one of the best parties you’ll go to this year, come together with new friends, laugh, think, drink and dance, and share in the company of some absolutely wonderful souls. PUG is at Tyneside Irish Centre, Newcastle on Friday 27th January with pay what you feel tickets available on the door.